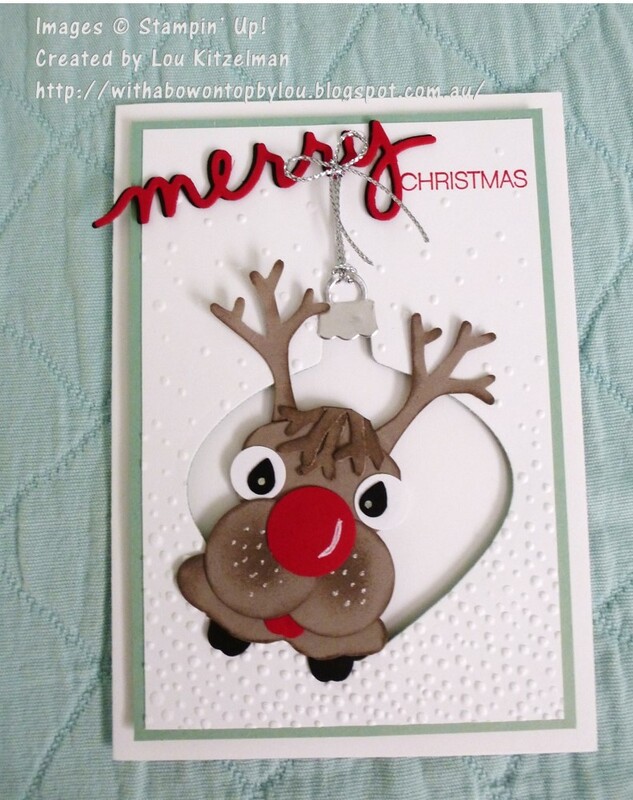 With Christmas not too far away you have just enough time to create Christmas cards for the special people in your life. This tutorial and kit has been a long process as I have been unwell and couldn't finish it as early as I had planned. Anyway it's done and ready for you to purchase. This 17 page tutorial gives you full colour instructions for 10 cards (2 each of 3 special cards folds and 4 quick Christmas card layouts). You will have leftover materials that you can use to make at least 10 tags using the skills learnt in the tutorial. 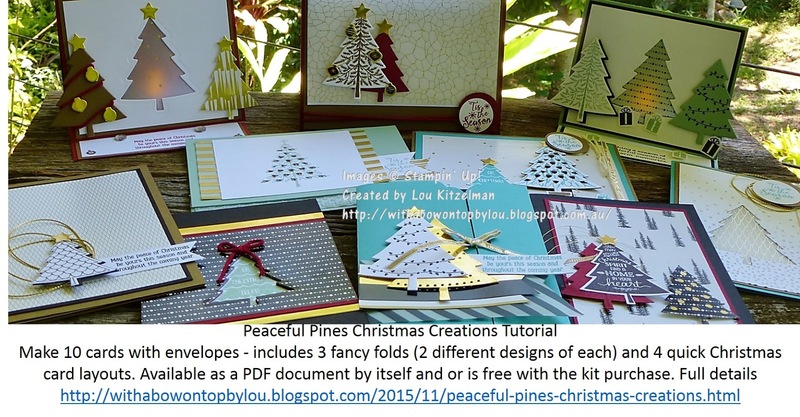 The cards are all made using the Peaceful Pines stamp set and Perfect Pines framelits dies. You get so much in this set. 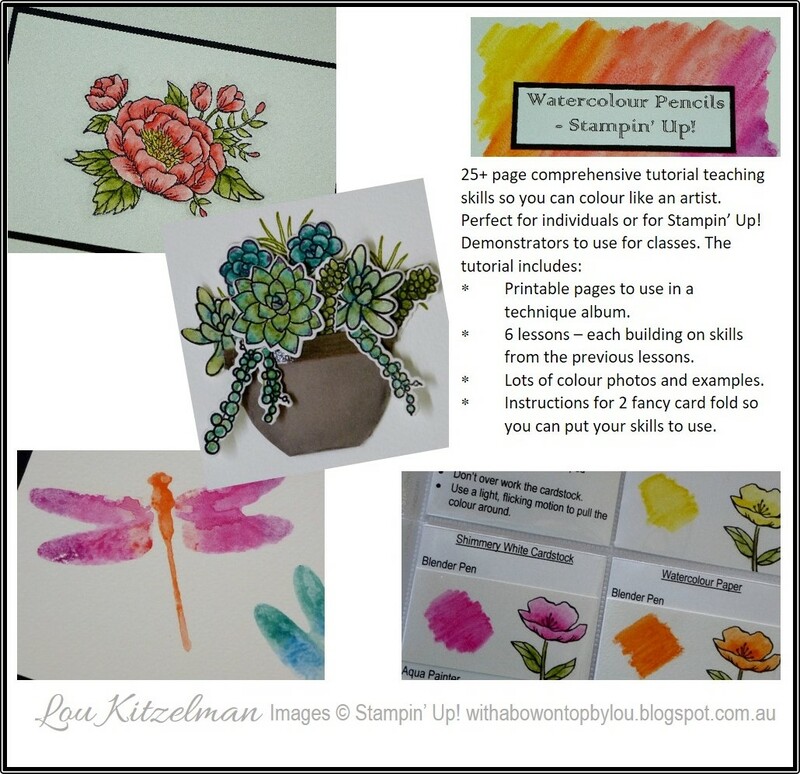 The instructions include full cutting guides so that you can create all of the cards over and over again as well as have little waste. Please note that the kits do not include pre-cut materials. The instructions are all in metric. 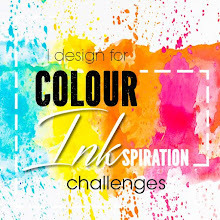 Full colour instructions - PDF document emailed to you. Paper crafting equipment - Scissors, paper trimmer, pencil, stamp cleaner etc. Option 1: Peaceful Pines bundle, materials kit and free bonus of instructions $ 104.45 AU - this price includes postage. Only available to Australian residents. 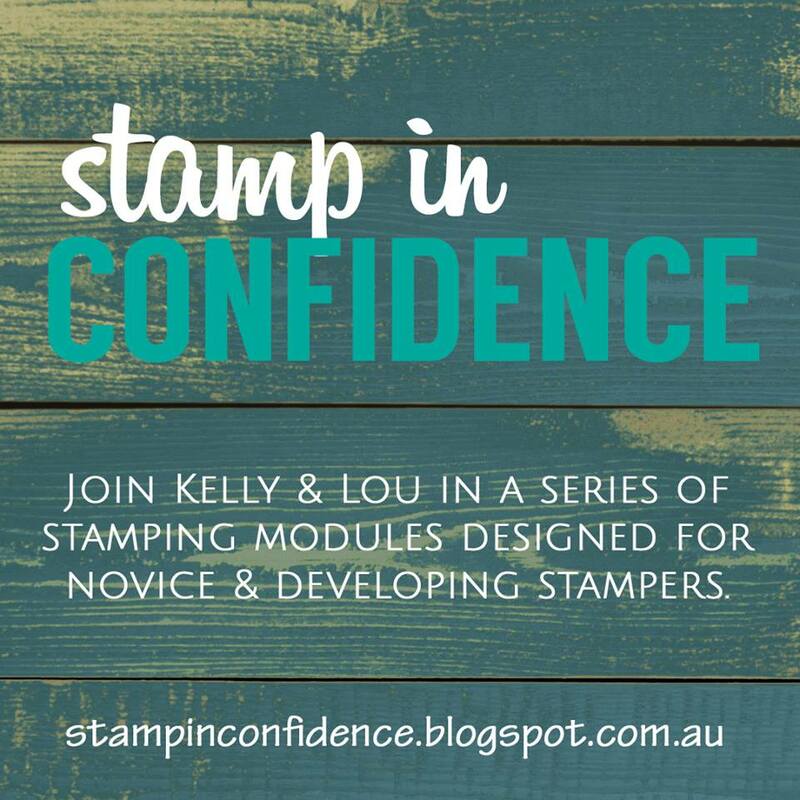 The Peaceful Pines bundle will be shipped straight from the Stampin' Up! warehouse to you. 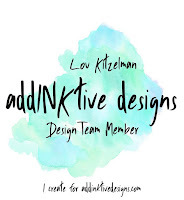 I will post the materials kit and email the instructions to you separately. Option 2: Peaceful Pines Christmas Creations materials kit and instructions $25 AU - this price includes postage. Only available to Australian residents. Perfect if you already own this bundle. 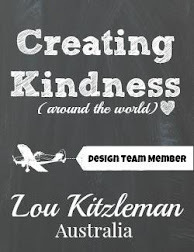 I will post the materials kit and email the instructions to you separately. 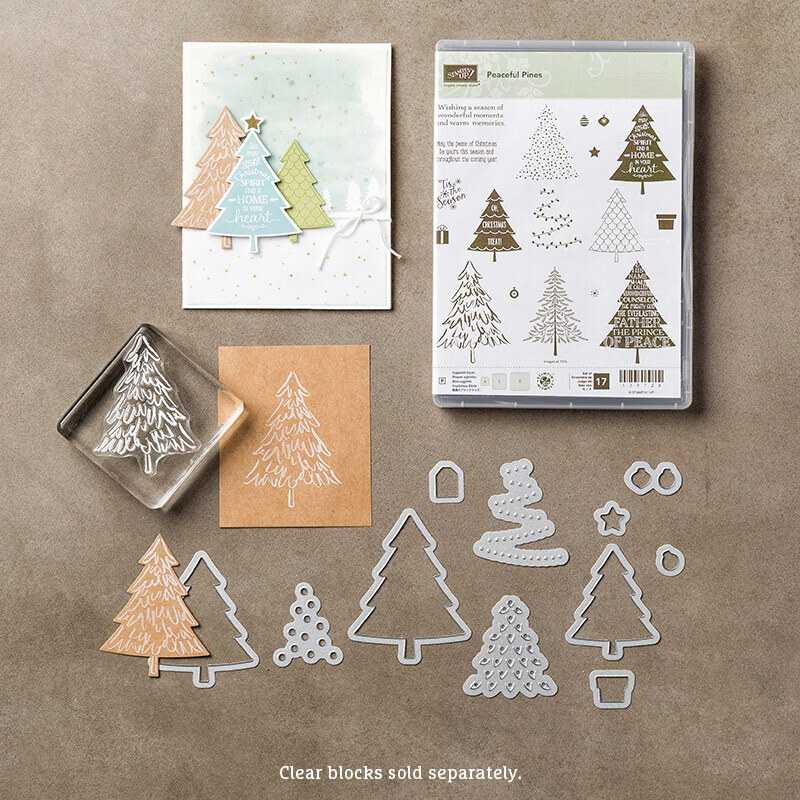 Perfect for the home crafter or demonstrator alike. Demonstrators can use these instructions for classes. All of the thinking is done for you. *Emailed to you within 48 hours of payment to the address you used with PayPal. 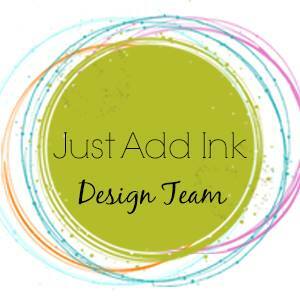 Option 4: Want to purchase some of the other items needed for the projects and have them added to the products being sent straight from the Stampin' Up! warehouse? Click on the contact tab at the top of this blog and list all of the items you want to purchase. I will email you a PayPal invoice with the updated costs. This will save you a bit on postage as well. Choose the option you would like from the drop down menu, follow the prompts to pay, then clear a work space at home and wait for your items to arrive so you can get crafting. Allow up to 10 working days for items to be shipped from the warehouse. On Saturday I had the opportunity to attend the Stampin' Up! Onstage event held in Melbourne. It was a great day and we had a sneak peek at the Occasions and Sale-a-bration Catalogues that will be available from January 5th. There are so many great products in these catalogues. For the day I was invited to display a card on one of the boards. 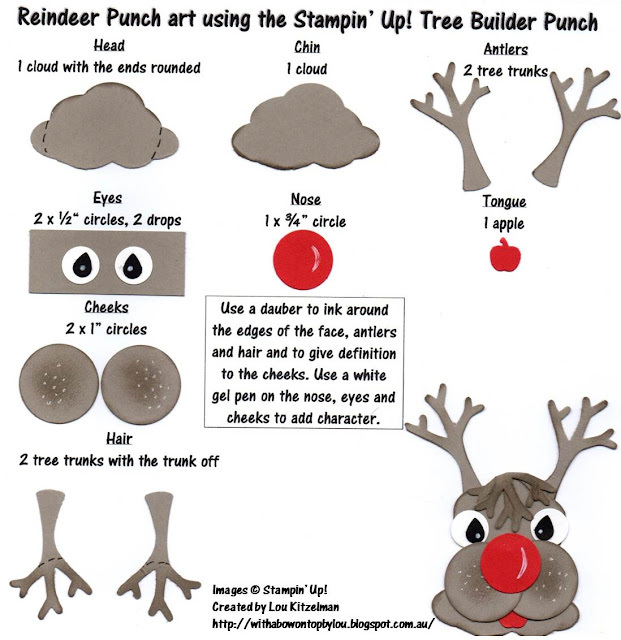 I used my cute punch art reindeer that I featured in a post a few months ago. Here is the card I made for the display board. 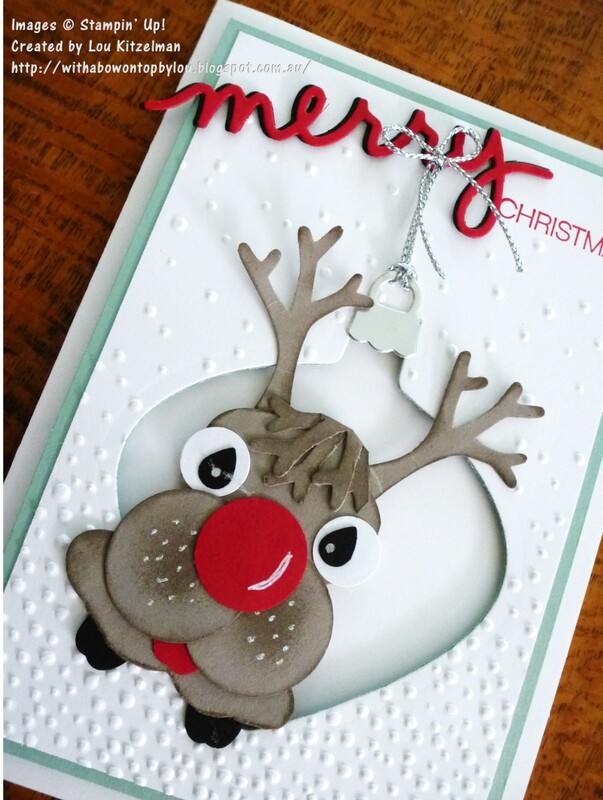 The front panel has a bauble from the Delicate Ornaments thinlits set cut out and then is embossed with the Softly Falling embossing folder. I raised this panel on foam dots to give a bit of depth. Here is a reminder of how to make the reindeer. It uses the Tree Builder punch. So cute! PS. Thanks to all of my loyal followers who have asked after my health and about the tutorial that I promised. I am still unwell (hence the fewer than normal posts) but hope to be up and about soon. All of the well wishes are very much appreciated. The tutorial is so close to being finished that it is driving me nuts looking at it. I have been trying to do the last few things and if I can I will launch it later this week. If not I may have to shelve it. Fingers I crossed I finish it - even if it is for my own benefit of completing something at the moment!